Kara and Craig got married on a snowy Connecticut day in March. This wedding was a special one for me. 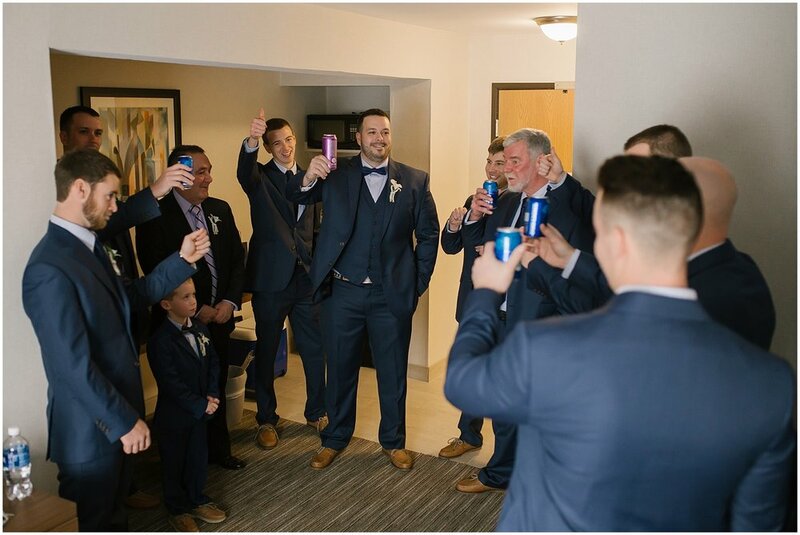 My husband is good friends with the groom, and it was an honor for him to ask me to capture his wedding day! Having known Craig for many years, I can honestly say this is the happiest I've ever seen him. Kara brings out something special in Craig, and it's clear to all of their friends and family that these two are perfect for each other! Kara and Craig's wedding was unique in so many ways. 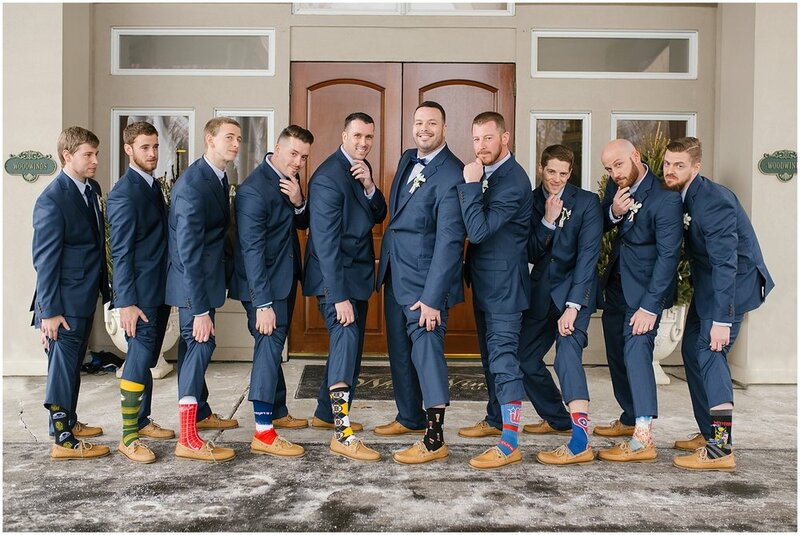 To start, they had an all male bridal party! 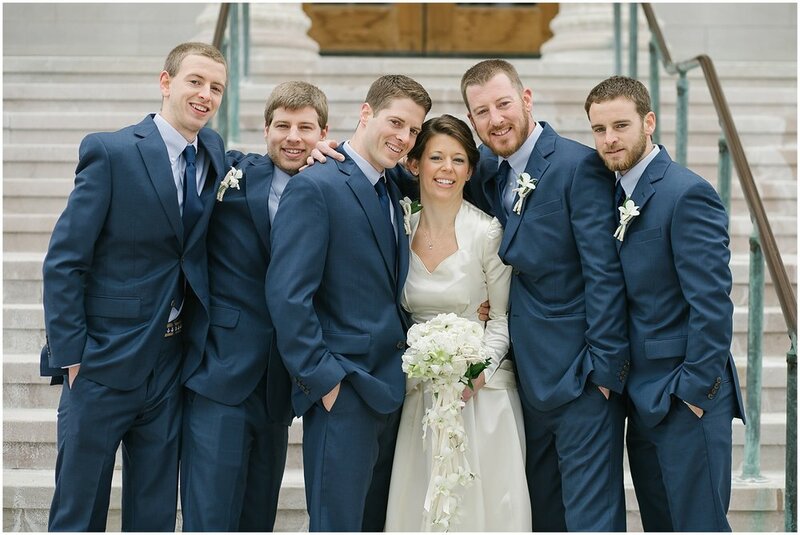 Kara has five brothers and she knew she wanted them all by her side on her wedding day. 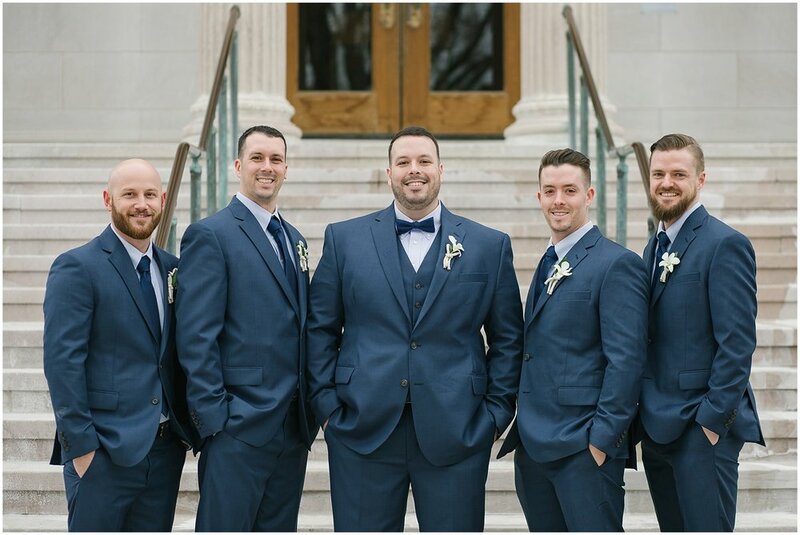 Instead of bridesmaids, Kara had her brothers as her "bridesmen"! I love when couples decide to break traditions and do what makes them happy. It was so much fun! Another amazing thing about their day was Kara's wedding dress. She decided to wear her grandmother's wedding dress, which Kara's mother also wore at her wedding! The vintage wedding dress was a show stopper. 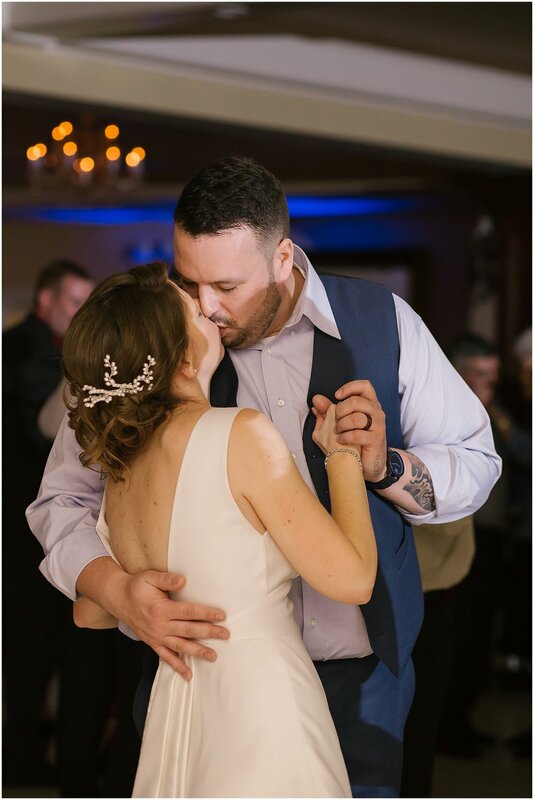 The long sleeves were perfect for a winter wedding, and the back of the dress with it's buttons and big, beautiful bow gave the dress a feminine feel. It was so special to see Kara in this dress, and then see the photos of her grandmother and mother wearing the same dress many years ago! They decided to create a nautical themed wedding, which fit Kara and Craig perfectly. If you remember from their engagement session blog post, these two met while working on boats! 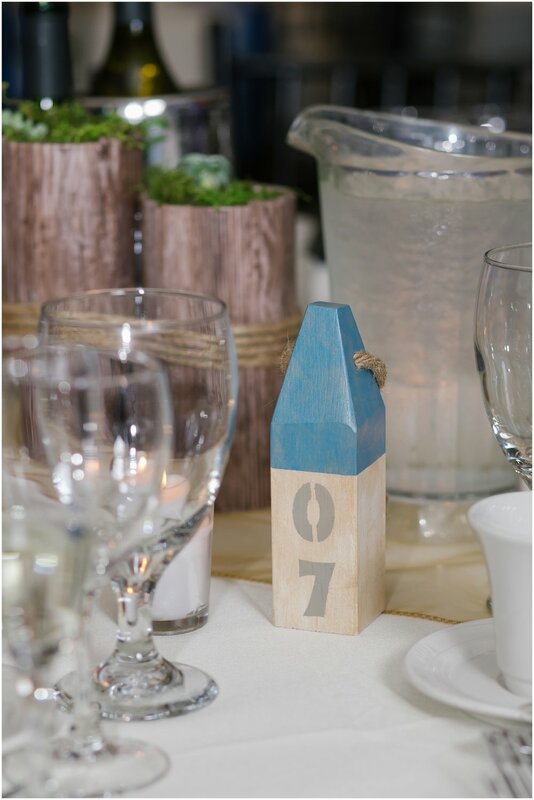 The nautical details they included in their day brought the whole wedding together. 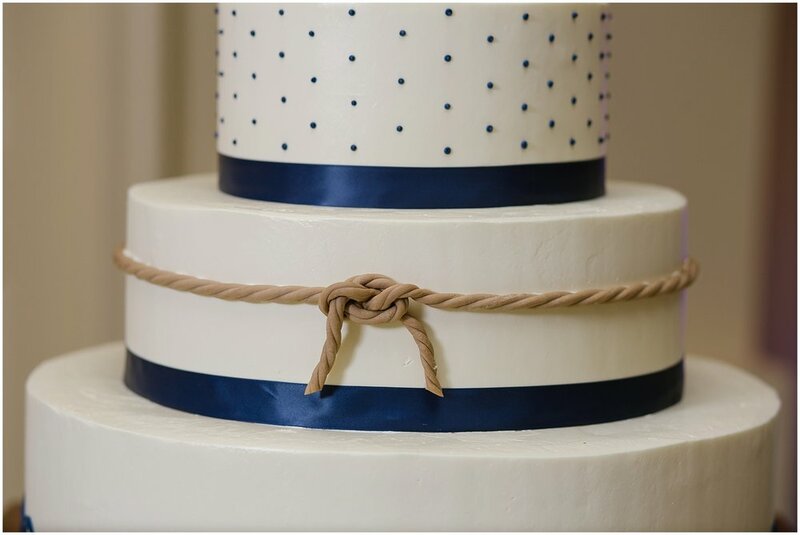 The boutonnières were made with a rope and their nautical themed wedding cake was full of anchors, waves, and of course a knot. The entire wedding day was so much fun! I don't think a single person was sitting down all night long. The bride and groom danced until the very last song and everyone was clearly having the time of their lives! It was an honor to capture Kara and Craig's wedding day and I wish them many years of happiness!